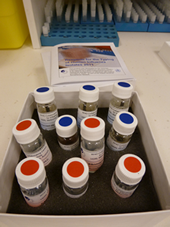 The Centre has developed two set of primers, 17 pairs for Type A and 19 pairs for Type B, that enable the full genomes of both Type A and Type B viruses to be sequenced for surveillance purposes. If you are from a National Influenza Centre and would like to access the sequences of these primers, please send us an email at whoflu@influenzacentre.org with the subject line "NIC request for primer sequences". Primer sequences for sequencing of avian influenza A(H7N9) viruses that have recently emerged are also available from the Centre to National Influenza Centres only. If you are from a National Influenza Centre and would like these sequences for surveillance purposes, please send us an email at whoflu@influenzacentre.org with the subject line "NIC request for A(H7N9) primer sequences".